Arsenic is a natural element that can be found in soil and minerals. It is known to be both toxic and potentially carcinogenic. Prolonged exposure to arsenic can cause health problems even death. In low level exposure, arsenic can cause skin discoloration, corns, and small warts. Since rice is mainly grown in water logged soil, organic arsenic can naturally reside in the crop. 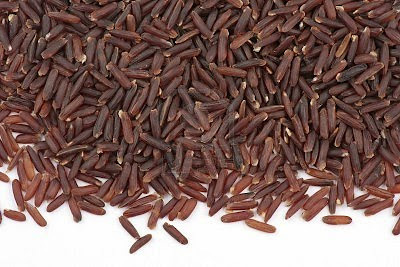 Brown rice have higher levels of arsenic than white rice since arsenic tend to collect in the outer layer of rice bran. With brown rice, only the outermost layer of the grain (the husk) is removed unlike in white rice where the next layers underneath the husk (the bran layer and the germ) are removed. In a statement, the USA Rice Federation says that the toxic or harmful arsenic is the inorganic kind (found in pesticides, wood preservatives and other industrial materials). The arsenic found in rice is organic, a kind that is believed to be harmless. The US FDA announced that organic and inorganic forms of arsenic can be found in soil and ground water, and as a result, small amounts may be found in certain food and beverage products. Arsenic-based pesticides were commonly used in United States agricultural production up until 1970, when more effective substances became available. As a result, trace levels of organic and inorganic forms of arsenic can be detected in some agricultural settings, which may lead to small amounts of arsenic in certain foods and beverages. Experts are concerned because arsenic (both organic and inorganic) is able to cross the placenta and may harm a developing baby. Studies have linked high arsenic levels in pregnant women to an increased risk of miscarriage. Exposure to arsenic in the womb has also been associated with lower birth weights in children and an increased risk of infant mortality. Jackson,director of the Trace Element Analysis Core Facility at Dartmouth and a member of the college's National Institute of Environmental Health Sciences (NIEHS) ‑funded Superfund Research Program, is lead author on the study published February 16, 2012, in Environmental Health Perspectives. His collaborators include researchers in Dartmouth's EPA and NIEHS‑funded Children's Environmental Health and Disease Prevention Center.